WONDER OVERNIGHT RECOVERY || HAIRCARE | RAWR BOWS. I’ve never had amazing hair, it’s always been quite dry and dull due to frequent exposure to the sun, salty water and lack of a haircare routine. I’ve now got shorter hair, which makes it easier to take care of but obviously that didn’t encourage me to actually take care of it. That is, until I discovered Percy & Reed’s Wonder Overnight Recovery. My issue with haircare routines is that it takes a while to see results and they are, well routines, so you need to commit to them - and I’m not ready for that kind of commitment yet. What I love about this product is that I only have to use it once or twice a week, and it’s ridiculously effective. 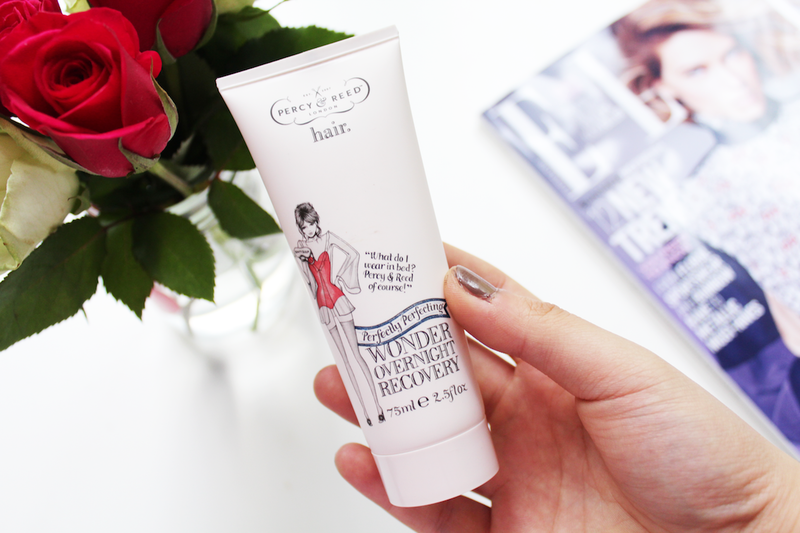 The Wonder Overnight Recovery helps nourish and hydrate damaged hair, and it does so whilst I’m sleeping (that’s real beauty sleep for you, folks). The formula has natural proteins that help your hair retain the moisture (i.e. it hydrates it), and conditioning agents which gets rid of frizz -something I was in desperate need of- and gives the hair a healthy glow. I apply it twice a week just before going to bed, I put some product on my fingers and massage it into my scalp working my way to the ends. 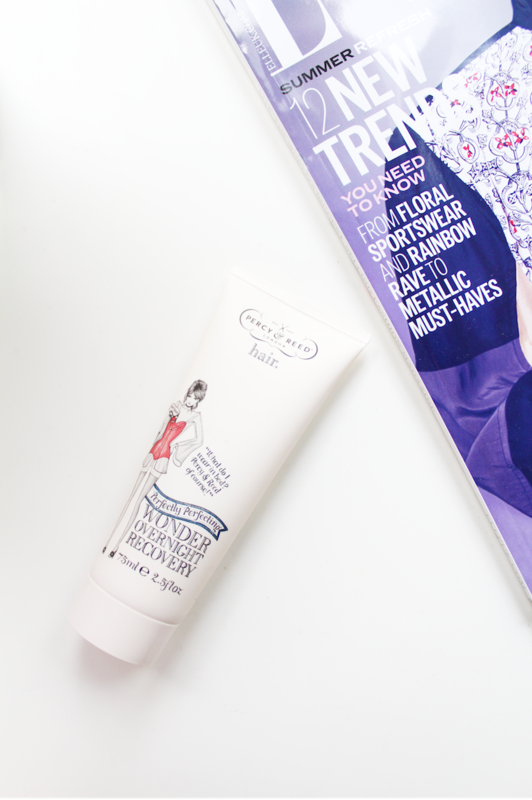 It is quickly absorbed so my hair doesn’t feel sticky at all and it honestly feels like I haven’t used anything. In the morning, I wash it out with some shampoo and my hair is feeling -and looking- softer and more hydrated than ever. And I haven’t even had to commit to a real haircare routine! Isn’t it great? The only downside to this product is that I have to wash my hair in the morning and I prefer to shower at night (shower in the morning = less time to stay in bed) but I try to use it when I know I don’t have plans the following morning so I can still sleep in. Also, if you have long hair you might have to use quite a lot of product so it can be a bit expensive! The product retails at £10 and it’s going to be available online and in-stores on June, 1st. However, you can get it with this month’s Elle issue before it’s released! !